This rare breed’s name if from the French for beard (barbe). The Barbet is said to be the father of the Poodle and many pointing breeds. What is the origin of the Barbet? The Barbet is said to have descended from an ancient – cani aquatius. Its name is from the French word for beard – “barbe.” It is said to be the father of many pointing breeds and the Poodle. The Barbet is a rare breed and even rarer in the U.S.
What does the Barbet look like? Males are 20-25 inches tall, weight is about 35-60 lbs. Its longish coat is thick and shiny, slightly wavy and sheds little. 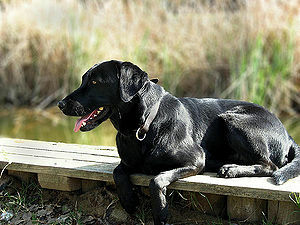 Colors are black, brown, fawn or gray, sometimes with white markings or solid white. Daily brushing is required. What is the temperament of the Barbet? 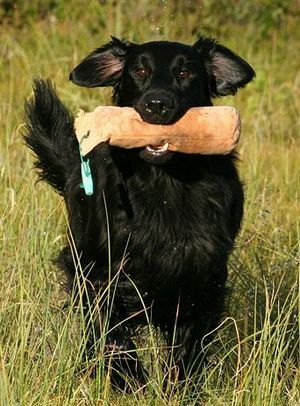 The Barbet is a highly intelligent dog and learns quickly. 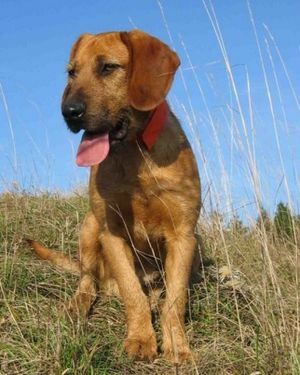 They are lively, obedient, friendly and playful. What is the Barbet used for? 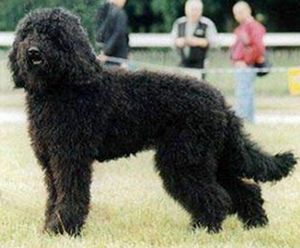 The Barbet is an excellent water dog and competes in water trials in France. They are retrievers and hunters. Barbets are loyal family companions. Hip dysplasia, progressive retinal atrophy (PRA).